" We are happy about the quality of the products supplied, and their after sales support. They have also displayed their capability to meet our requirements in various locations in India. We would like to continue to have them on our list of esteemed suppliers." " We would like to add that they have a very good after sales service network and our working relation with them has grown stronger over the years"
" This is to certify that M/s Global Powersource India Pvt. Ltd., has been our major supplier of SMF VRLA batteries since last 10 years. 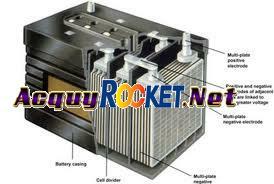 The "ROCKET" Brand batteries supplied by them are of very good quality and are very durable"